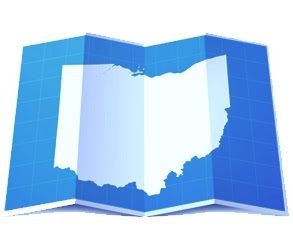 Foxmoor Continuing Education is sponsoring an all day seminar titled "Ohio Easements: Rights of Way and Other Encumbrances" on September 19, 2012 (Wednesday) in Columbus, Ohio and on September 20, 2012 (Thursday) in Cleveland, Ohio. The featured speaker is Gary Kent and discussion will address, among other things, the definition, nature and elements of easements, written and unwritten easements, the scope, duration, interference and termination of easements. Registration begins at 8:00 am and the seminar ends at 5:00 pm. More information and registration is available online at http://www.foxmoor-ce.com/. National Business Institute is sponsoring all day seminar titled "Handling Real Estate Transactions from Start to Finish" on August 7, 2012 (Tuesday) in Cleveland, Ohio. Seminar attendees can learn the fundamentals of a real estate closing. Registration begins at 8:30 am and the seminar ends at 4:30 pm. More information and registration is available online at http://www.nbi-sems.com/. Its good to be here, very nice post, the content is amazing, keep posting very helpful for everyone, Thanks for sharing. I really liked it. Pretty fantastic post. I just stumbled upon your weblog and wanted to say that I have really enjoyed reading your weblog posts ..